Jalil Ibn Ameer Aziz, 19, a U.S. citizen and resident of Harrisburg, Pennsylvania, was charged in a superseding indictment with solicitation to commit a crime of violence and transmitting a communication containing a threat to injure. 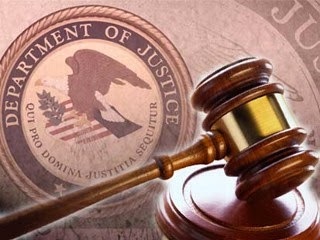 The additional charges were announced by Assistant Attorney General for National Security John P. Carlin and U.S. Attorney Peter J. Smith of the Middle District of Pennsylvania. On Dec. 22, 2015, Aziz was charged in an indictment with conspiring and attempting to provide material support to the Islamic State of Iraq and the Levant (ISIL), a designated foreign terrorist organization. The following day, Aziz appeared before U.S. Chief Magistrate Judge Martin C. Carlson of the Middle District of Pennsylvania and entered a plea of not guilty. Aziz was initially charged with conspiring and attempting to provide material support to ISIL in a complaint that was unsealed on Dec. 17, 2015, following his arrest. According to the complaint, Aziz used at least 57 different Twitter accounts to advocate violence against the United States and its citizens, to disseminate ISIL propaganda and to espouse pro-ISIL views. On at least three occasions, Aziz allegedly used his Twitter accounts and other electronic communication services to assist persons seeking to travel to and fight for ISIL. In one instance, Aziz allegedly acted as an intermediary between a person in Turkey and several well-known members of ISIL. According to the allegations in the complaint, Aziz passed location information, including maps and a telephone number, between these ISIL supporters. A search of a backpack located in Aziz’s closet identified five loaded M4-style high-capacity magazines, a modified kitchen knife, a thumb drive, medication and a ski mask. The charges contained in an indictment are only allegations, and the defendant is presumed to be innocent unless and until found guilty. The maximum sentence for both conspiring and attempting to provide material support is 20 years in prison and a $250,000 fine. The maximum sentence for the solicitation count is 20 years in prison, a $250,000 fine, a term of supervised release of five years and a $100 special assessment. The maximum sentence for the transmitting a threat to injure count is five years’ in prison, a $250,000 fine, a term of supervised release of three years and a $100 special assessment. The case is being investigated by the FBI’s Joint Terrorism Task Force (JTTF), which includes the Pentagon Force Protection Agency and the Pennsylvania State Police, with assistance from the Harrisburg Bureau of Police. This case is being prosecuted by Trial Attorneys Robert Sander and Adam L. Small of the National Security Division’s Counterterrorism Section and Assistant U.S. Attorney Daryl F. Bloom of the Middle District of Pennsylvania.